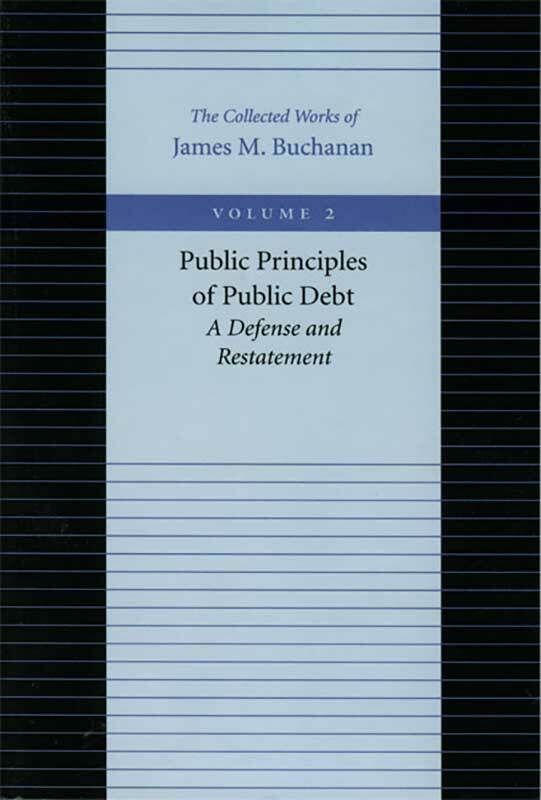 Public Principles of Public Debt is one of James M. Buchanan’s most important and influential books. The radical idea he conceived was that our reliance on public debt has amassed a sort of orthodoxy that is commonly—and needlessly—assumed by taxpayers, by politicians, and by economists themselves. Buchanan dismisses the nearly universal belief (which continues to this day) that the burden of debt is borne by the current generation, and he argues persuasively that public debt is shouldered in large part by generations still to come. Written in 1958, this book represents Buchanan’s first published monograph, and its publication met with much controversy, confusion, and speculation in the economic community. But the book also added to Buchanan’s rising stature in the early part of his career as a brilliant and original thinker. The arguments Buchanan lays out in this book had a considerable impact on much of his later work. Buchanan’s object here is to establish a set of analytical claims about debt incidence. Current anxieties over implicit Social Security debt are clear indications of the rightness of Buchanan’s then-revolutionary theory.